Do you sometimes wonder how people were doing research in the pre-internet age? I do this quite often, and do you know what I am thinking right after? How the hell did I do research on the web before I knew about Diigo?!! Share your annotations and bookmarks with the world, or with colleagues via lists and groups. In short, Diigo is an amazing tool for knowledge workers to annotate, archive and organize the web – either for yourself or in collaboration with others. And as an educator, you even get a free upgrade to a Diigo Education account with unlimited highlighting. Cha-ching!! Where do you go to find the latest information of your interests? Twitter may be the best place to find the constantly updated site of news and rumours, and Facebook Pages and groups start playing a similar role to seed out information to us. While these two sources are useful if we use them strategically, they can overwhelm us very easily because of their constant flow of massive amount of information. I use Facebook Pages and Twitter to find some latest information, but these two sources may not be necessarily suitable to check if my favourites blogs like academiPad have published new posts or to see if news websites updated their content. Many of us likely have a handful of blogs and websites that we regularly follow, and if we check their update status one by one, it would take a lot of effort and time. To make this routine of checking blog and website update status more efficient, I use RSS feeds through Reeder. RSS, often dubbed as “Really Simple Syndication,” is a web feed format, and even if you’ve never used it, you most likely see RSS icons on news websites, blogs, and podcast pages. Its basic function is to send out updates as rss, xml, or atom formats. (For your information, Atom is an alternative to RSS and it is different from RSS, but their basic functions are the same.) If you’re subscribing to podcasts, for example, you may actually receiving the latest episodes of your favourite shows via RSS. An advantage of using RSS feeds is to receive often summarized updates from your favourite news websites, blogs, journal websites, and so on. If you want to read more, you just need to click links or titles to go to the actual pages to read the entire posts or news articles. Unlike Twitter, you’ll receive more information because RSS feeds don’t have a 140 character limit, but like Facebook, the feeds contain images, videos, and even audio so the information you receive through them are more dynamic. Every once in a while, a group of Mac applications are pulled together in a bundle and offered for a ridiculously low price. Productive Macs is one of those, and it offers you 8 Mac apps for the price of $40. Is it worth it? This review will tell you. In short: Unless you already have a good information management workflow in place, the Productive Mac bundle is a good investment. DEVONthink and HoudahSpot are two alternative systems to organize all kinds of files – either in a database or through tagging. MacJournal is a great tool for organizing your writing projects, and MailTags seems to be a good way to expand your info management workflow into your email inbox. Have you ever lost an idea or email address you wrote on an obscure piece of paper? Are you constantly emailing yourself to keep all your notes “in sync”? May I introduce Simplenote: A better way to manage information in academia that even poor grad students can afford (it’s free). When the iPad came out, many people immediately recognized the benefit this device offers researchers and university students, and latest since its Education Event last week Apple has made clear that the education sector is an important playing field for their iPad ambitions. Even before the iPad came out, the Mac was widely popular in academia, and it continues to be so. The iPhone, on the other hand, does not carry the same image of being an important device in academia. 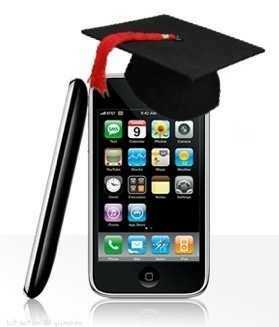 Don’t get me wrong: it is not that academics do not use iPhones as an easy-to-use mobile communication device (in fact, iPhones are quite easy to spot on campus). It is just that, for most people, the iPad and the Mac are more strongly associated with education than the iPhone is. Even for Apple, the iPhone (and iPod touch) is seen as their “third device” in education. It's easy and safe [more info]. Sente vs. Papers: What is the best PDF management system? 52 Writing apps for iPad: What is your favorite? Serious writing with iPad: What keyboard case fits your writing style? Support academiPad by doing all your amazon shopping via the image above. Accessing amazon.com, amazon.ca, and amazon.co.uk via these links keeps academiPad running - at no extra cost for you. My name is Joachim Scholz, but you can call me Jo. I am a PhD student in Marketing at Queen's University, Canada. My research interests are how humans' perceptions of nature relate to their consumption and how people use consumption to construct themselves as individuals and community members. Please visit my homepage for more info. Android vs. iPad: What platform will be the long-term winner?